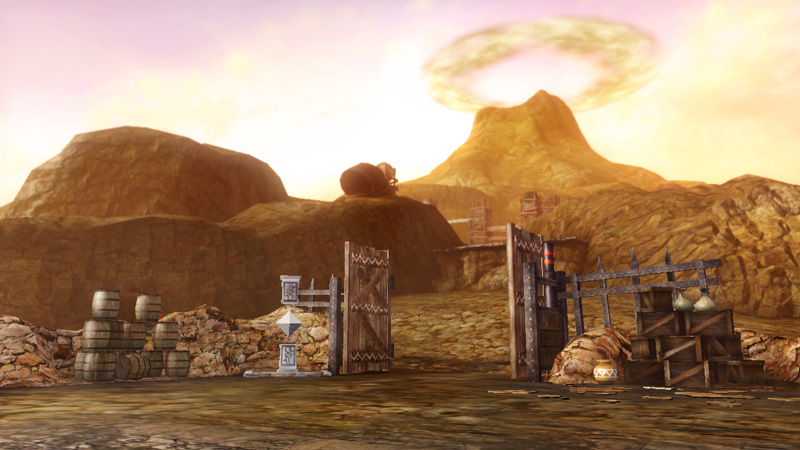 Lately, we’ve posted lots of news about Hyrule Warriors, and it seems it’s not going to end any soon. The Nintendo Console Gaming Facebook page released character overviews for Darunia, Ruto, Sheik, and Gohma, consisting in a short description about each one. Take the jump to read more about it! Can you handle the hype? 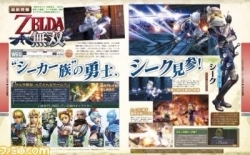 Following the earlier Famitsu Magazine scans and translated game details we posted, the Japanese website for Hyrule Warriors has updated their gallery with plenty of new screenshots and character profiles, including the Ocarina of Time DLC costumes for Link and Zelda. We’re given a better look at the Water Temple, Death Mountain, and Faron Woods stages, as well as Impa and Lana’s new weapons. See more after the jump. 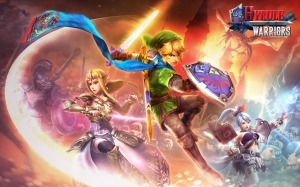 Following yesterday’s announcement of three more playable characters for Hyrule Warriors, we’ve been hoping for complete scans of this week’s Famitsu. While we’re still waiting on the rest of the relevant pages, we finally have one that features Ruto and even a little bit of Darunia! Head inside to check it out. Just yesterday the official Hyrule Warriors Twitter was teasing that we would be shown a new character, and without missing a beat, Famitsu has given us not just one character, but three! And the headliner for these new characters is none other than Sheik! Who are the other two, you ask? Hit the jump to find out!